We transform energy into an experience. With inspirational solutions which intelligently network the energy components at home. Complemented by unique services to maximize the convenience of energy management. We present companies from a wide variety of industries the opportunity to offer their customers these sustainable energy solutions under their own brand – as a complement to their existing product range. Together with our white label partners, we imagine energy in a completely new way! 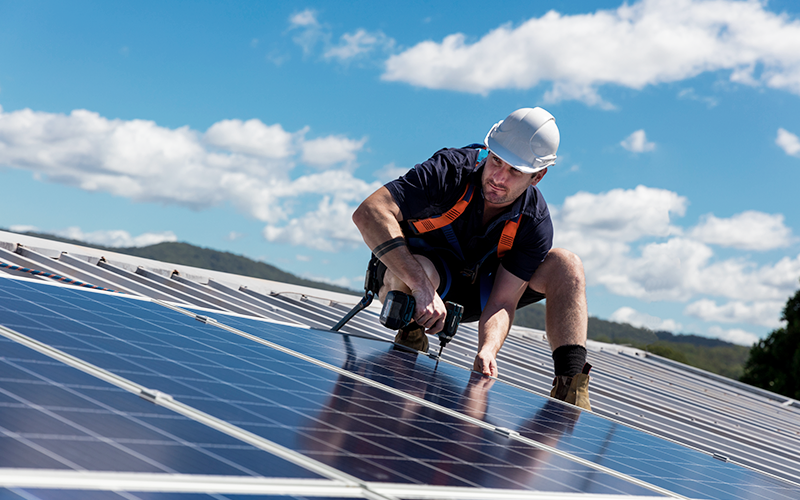 The basis of an independent power supply is self-produced electricity by a photovoltaic system. The innovative energy concept at home is completed by a battery storage and a charging station for the electric car. 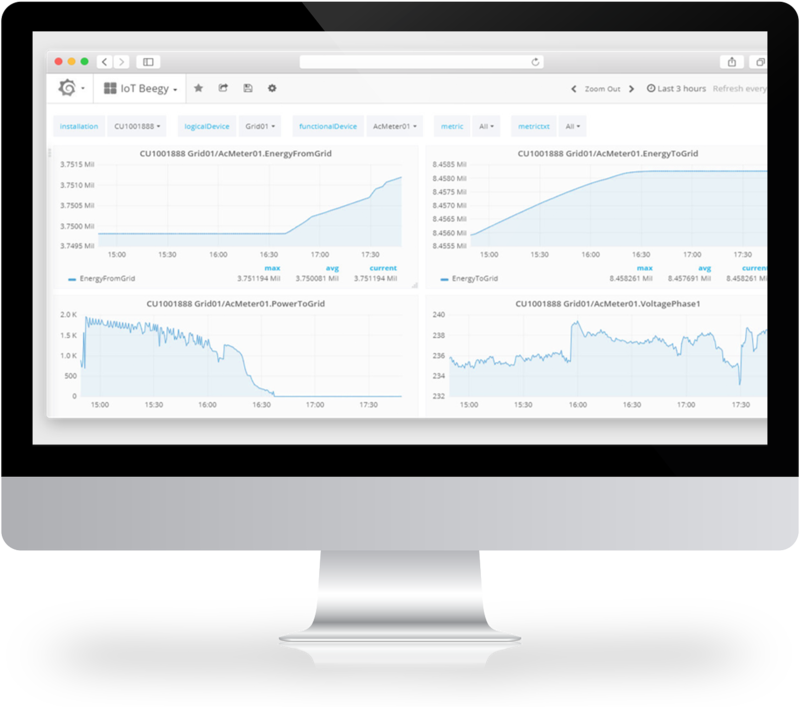 As an intelligent energy manager, the gateway ensures their networking and optimization. Recharge your batteries. HERMINE the charging control. The intelligent control HERMINE preferably charges the electric car with the self-produced solar power. This maximizes self-consumption of homes with a photovoltaic system – for environmentally friendly, cost-effective and convenient charging at home. Energy management to go. Web portal. The web portal (in your Look & Feel) provides your customers with an overview of all the relevant energy data in the household. From power generation of the photovoltaic system to self-consumption at home up to the charging status of the battery storage – the data is transparent, secure and online accessible. Sit back and relax. BALU the electricity flat rate. Even with a battery storage, self-produced solar power only covers up to 80% of a household’s energy consumption. With the flat rate for clean electricity, your customers receive the additional amount of electricity they need at a fixed price. For 100% independence from major suppliers. Up to 20 years peace of mind. Guarantee. We know about our components: Service life and performance are excellent; the interaction of the devices is well tuned. However, the guarantee will give your customers complete peace of mind. They have the choice between a 10 and a 20 years guarantee on all components in our product catalog. Every company is different and has individual requirements and strategies. That is why our service and product world features a modular design. This allows you to flexibly create your own product for your customers. We handle the implementation – completely in your name and your design. And you always keep the end customer contract with your customer. The energy world of tomorrow is smart, sustainable and affordable. 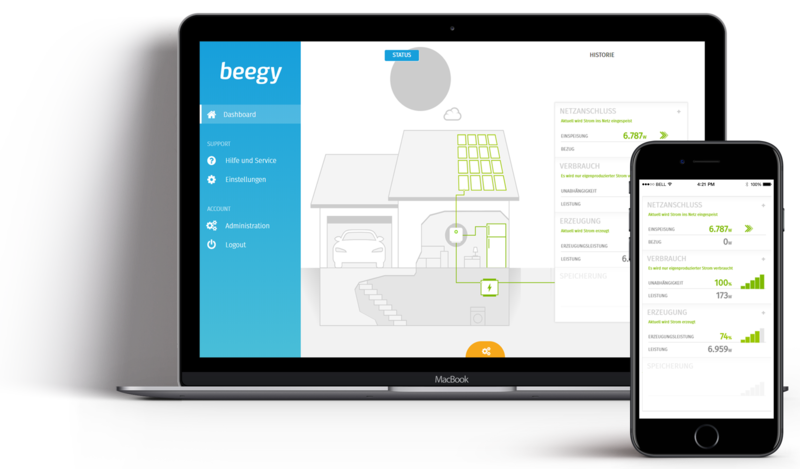 You can enable your customer to shape this energy transition – with beegy’s solutions. This is how you position yourself as a trend-setting, customer-oriented company. Every company is different. That’s why the modular system of our component and service options allow you to create your product according to your needs and those of your customers. Start complementing your product portfolio! We handle the implementation along the entire process chain: from components through energy services to sales and after-sales support. Integrate your new product into your market appearance quickly and easily. Our energy solutions offer your customers lasting added value, and inspire. This creates long-term customer relationships while also providing a stable revenue stream. We support our partners along the entire process chain. 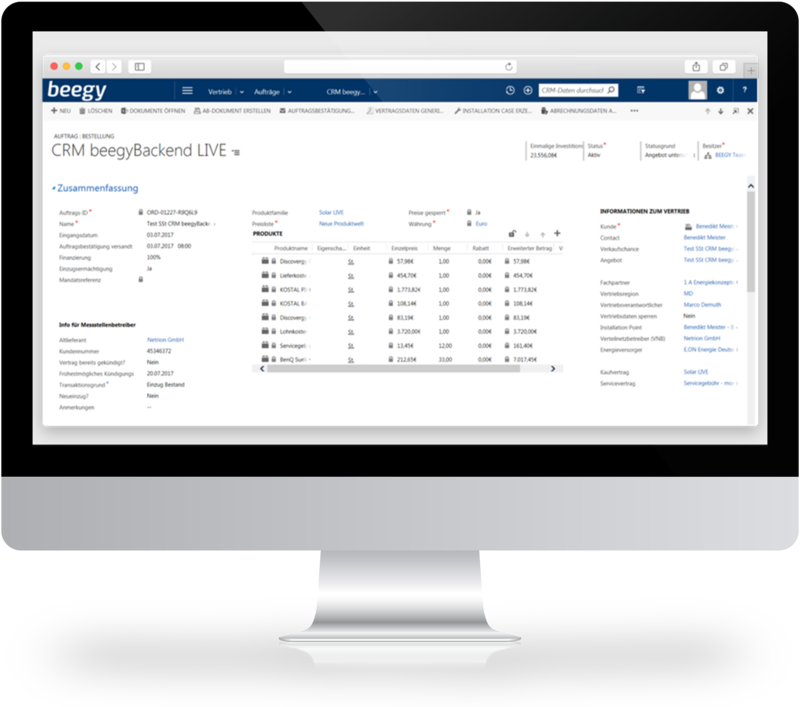 The entire customer journey is fully automated and managed digitally via our IT platform. 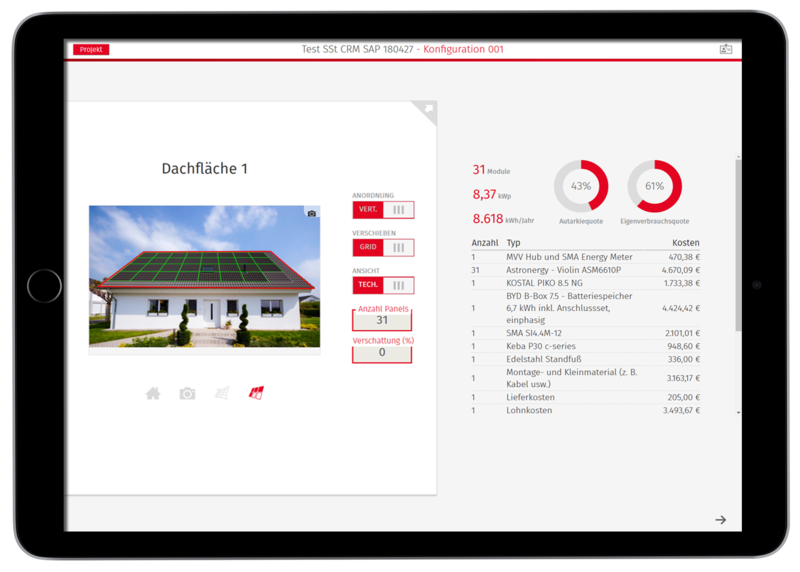 Lead generation: Online configurator Interested parties can configuretheir photovoltaic system onlineand receive a non-binding offer with just a few clicks. The digital distribution at the kitchen table: Sales App The mobile app supports the sales process - especially during the personal customer consultation on site. Customer care & order management:CRM system Order management, customer communication and billing are carried out in your name and are processed via the CRM system. Qualified specialist partners install the components on site and set up the energy services. Central data hub: the backend This is where all data of the photovoltaic system comes together. It also makes it possible to monitor the components around the clock. Energy management to go: web portal Maximum transparency for yourcustomers - in your look and feel. 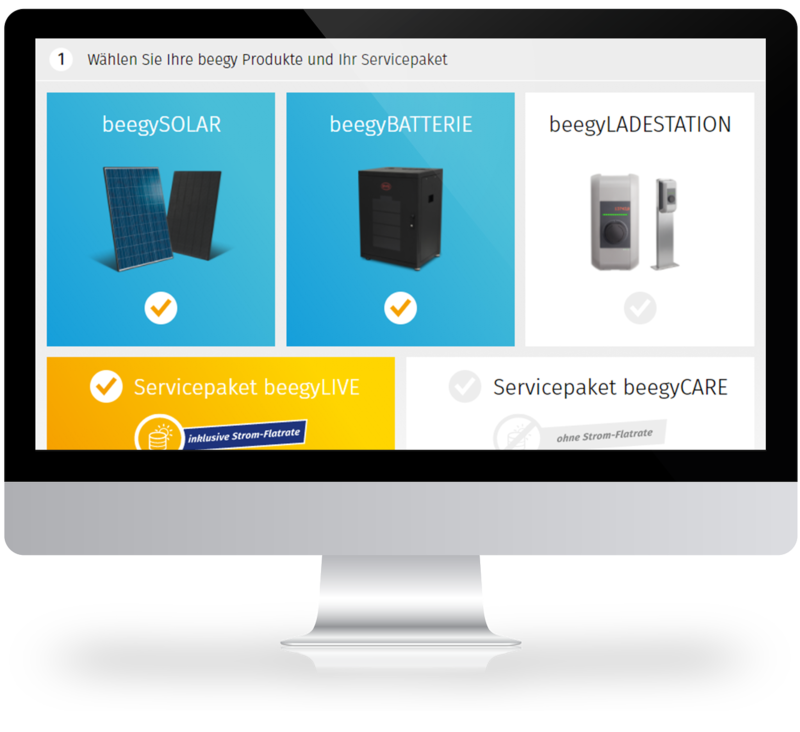 The beegy GmbH is part of the MVV Energie AG. 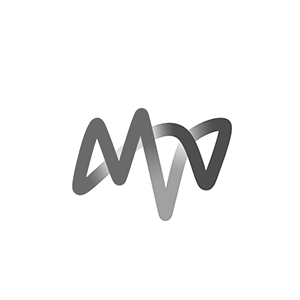 As one of the leading energy companies in Germany, MVV has a special focus on the expansion of renewable energies and theincrease of energy efficiency. The company can fall back on many years of experience in the energy industry and well-founded know-how along the entire value chain. With us, you can provide your customers with forward-looking solutions. Let us strive together for a smart and sustainable world.